“Navi Mumbai harbours a very high bird diversity, which is being threatened by fast-paced development,” states the study, which observed around 287 species within 10 km of the proposed site since December 2011. 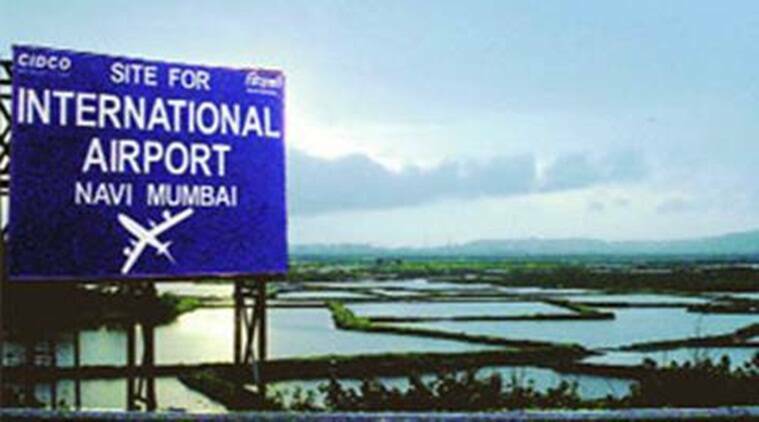 The site of the Navi Mumbai International Airport (NMIA) faces a “high risk of bird hit”, according to a five-year environmental study conducted by the Bombay Natural History Society (BNHS) between 2012 and 2016. According to the BNHS, as many as six “globally threatened” and eight “near threatened” species, including the Lesser Flamingo and Black-headed Ibis, were seen in abundance at the site during the study period. The BNHS will now conduct a ten-year study in consultation with City Industrial and Development Corporation (CIDCO) on ways to reduce bird hits at the upcoming airport. This study would involve understanding the migrating patterns of birds and suggest measures for ensuring minimum disturbance to their habitat. “After the report showed chances of bird hits at the airport, we approached the BNHS for consultation. Based on their inputs, we will implement the design plans and take required action. We will pay them a fee of Rs 10 crore for consultation over the ten years,” a senior CIDCO official said. The 2,054-hectare area at Panvel is demarcated as the airport zone. The area around the site comprises creeks, rivers and mangroves, which serves as a habitat for congregating birds along with the Karnala Bird Sanctuary located close by. “While we have signed the consultancy for CIDCO, our on-ground work started eight months ago. A team of 22 people has been monitoring the site to get the bird count and study their migratory pattern. We have begun bird ringing (putting rings or coloured flags on their legs) of as many as 3,000 species of birds. We will continue to give annual inputs to CIDCO,” Deepak Apte, director, BNHS, said. Apte said that while a 2017 report discussed the possible species of birds spotted at the airport site, the ten-year study would look at understanding their migratory patterns. “For example, so many species of ‘waders’ have often been spotted at the airport site. Many birds that must be roosting at inner wetlands also tend to fly over the airport site. We will present them with a comprehensive report by 2023, which will also suggest mitigation measures for the affected species,” he said. Lokesh Chandra, managing director, CIDCO, said the study by BNHS will help them take precautionary measures to avoid conflicts with birds. “BNHS does studies on bird migration patterns successfully. We have been interacting with them continuously and acquiring timely inputs,” Chandra said. The proposed location of the NMIA requires diversion of rivers, blasting of hills, reclamation of mangroves and disturbance to habitats of many bird species. Environmentalists have frequently raised objections over the ecological damage to the Navi Mumbai area through the airport. However, with the stage-II forest and wildlife clearance from the Union Ministry of Environment and Forests obtained in 2016, CIDCO has acquired all approvals needed to construct the airport. “CIDCO must implement suggestions taken from the first report effectively,” Debi Goenka, from the Conservation Action Trust (CAT), said. “While we eye the construction of the airport early next year, authorities are still trying to understand how they must save the bird species. These studies should have come before the airport received environmental clearances from the Ministry,” Goenka said. The BNHS is also conducting a bird study for the Mumbai Trans Harbor Link project planned between Sewri and Nhava-Seva.